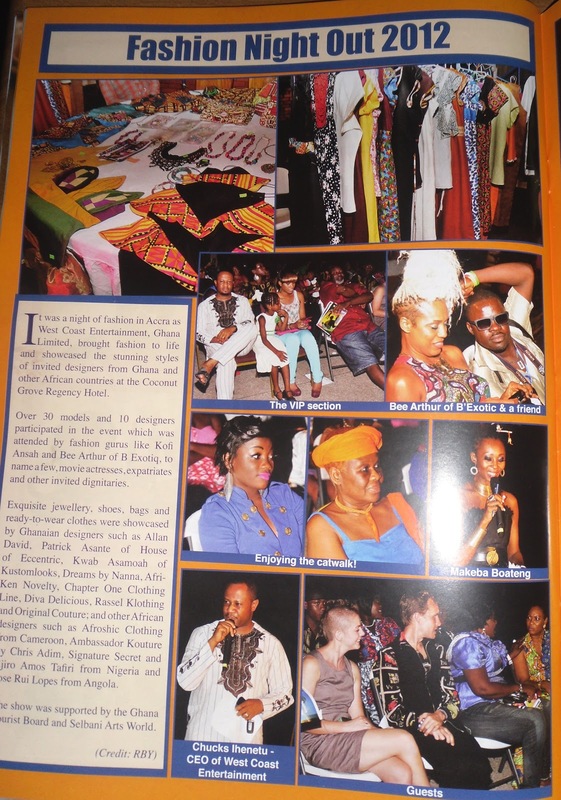 It was a night of fashion in Accra as West Coast Entertainment Ghana Ltd, brought fashion to life and showcased the stunning styles of invited designers from Ghana and other African countries at the Coconut Groove Regency Hotel. 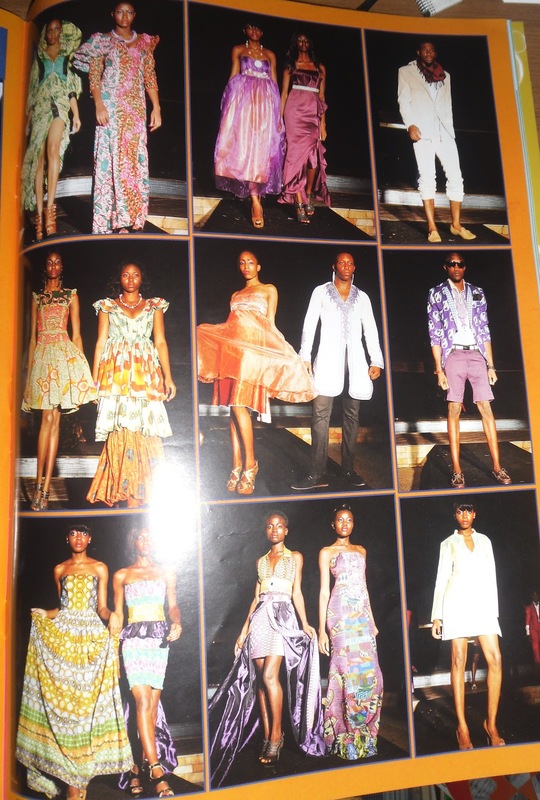 Over 50 models and 19 designers participated in the event which was attended by fashion gurus like Kofi Ansah and Bee Arthur of B’ExotiQ, to name a few, movie actresses, expatriates and other invited dignitaries. 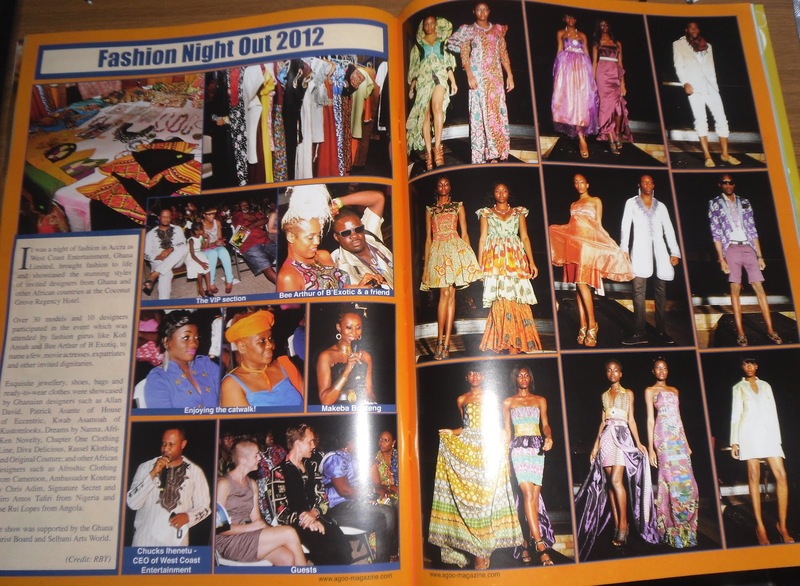 Exquisite jewellery, shoes, bags and ready to wear clothes were showcased by Ghanaian designers such as Allan David, Patrick Asante of House of Eccentric, Kwab Asamoah of Kustom looks, Dreams by Nanna, Afriken Novelty, Rassel Clothing, Original Couture and others African designers such as Ambassador couture from Nigeria, Afrikanus by Lopez from Angola and many other. 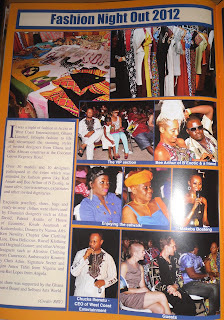 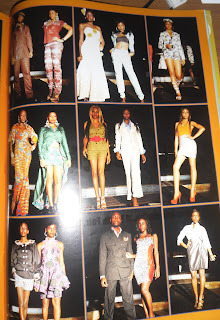 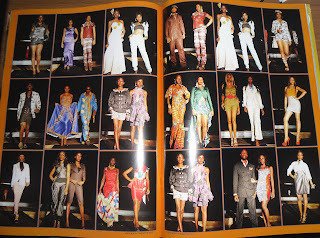 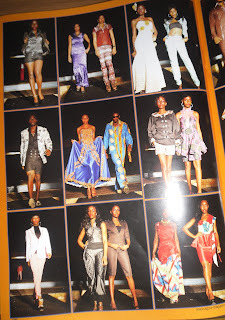 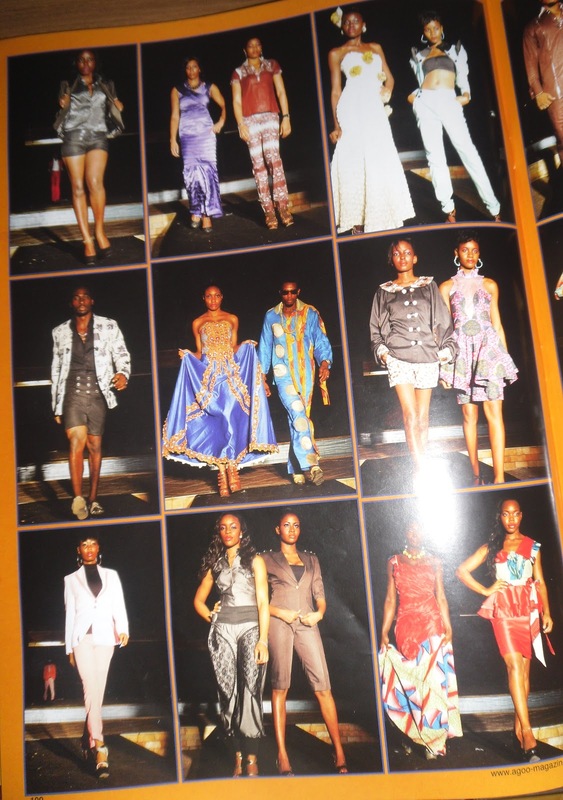 The show was supported by the Ghana Tourism Board, Selbani Artworld, Dark & Lovely, Safina water, Delta soap and others. (Page 98, 99, 100 & 101) you can get your copy in Ghana- Accra Mall, Koala, and other stores around town also in Nigeria, South Africa, Kenya, Gambia, Germany, Holland, France, Canada, USA, and Sierra Leone. 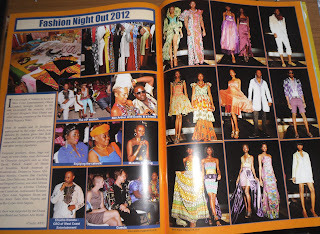 Thanks team Agoo for featuring my event...preparation for May 2013 starting soon and we shall invite you again to partner us.